At the heart of Shambhava Yoga are three ashrams founded by Sri Shambhavananda: Shoshoni, Eldorado and Konalani. 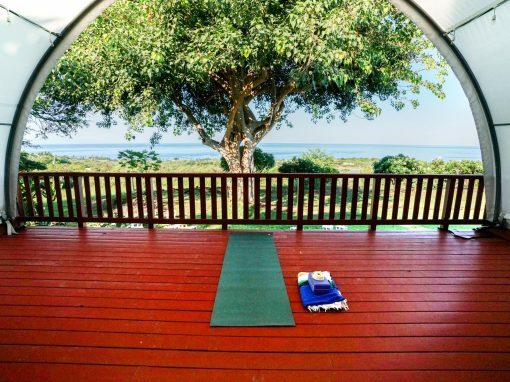 Resident yogis live, work, and play at each of these ashrams year-round, keeping the grounds beautiful and the practices strong. One of the most unique and cherished aspects of an ashram community is the opportunity to learn and discuss sacred yoga practices alongside experienced practitioners who share your wish to grow. Offering daily classes in meditation and asana, Shambhava Yoga Ashrams are open to the public year-round. Stop by and visit one today! 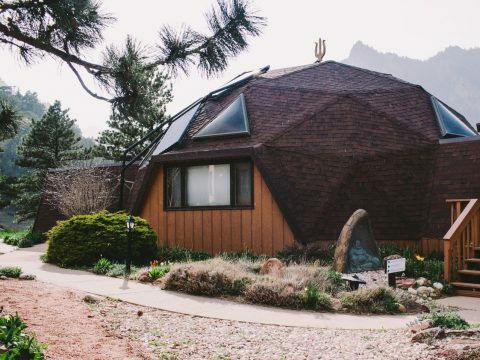 Set against a backdrop of majestic canyon walls just south of Boulder, Colorado, Shambhava Yoga Eldorado has been the home of Shambhava Yoga for thirty years. The vibrant and enthusiastic yogis who live and work here welcome you to explore the diverse offerings and profound abundance of the yogic tradition. Drop-in classes, teacher trainings, yoga, art and meditation workshops, ecstatic kirtan, enriching family programs, and youth camps fill the calendar, as well as hearts, year-round. Aloha! Overlooking the Pacific Ocean on the sunny side of the Big Island of Hawaii, Shambhava Yoga Konalani attracts students from around the world for teacher training and yoga retreats. The experience of Konalani is the perfect balance of nourishing aloha and heart-awakening spirituality. The ashram itself sits nestled between a lush mango orchard, sacred rudraksha forest, and panoramic view of the Pacific. Classes and meals take place outside, overlooking the ocean, as the sounds of birds and crashing waves echo through the air. Konalani is a magical place, and is open year-round for retreats, trainings, and classes in yoga, meditation, chanting and Ayurveda. Shambhava Yoga affiliate centers are the extended family of Shambhava Yoga. The gifted and dedicated individuals who run each of the centers teach Shambhava Yoga practices and use these practices in their own lives to grow and improve. Each center has been given the blessing of Sri Shambhavananda to share these teachings under his guidance. Hatha yoga, meditation, chanting, workshops and more are happening right now at a center near you. Check the list below to find a Shambhava Yoga affiliate center near you. Om Ananda Yoga LLC is committed to serving the yoga community of Ft. Collins, Colorado and the surrounding areas. Please explore our offerings of yoga teacher trainings, yoga and meditation classes. Dive deep into the ocean of Ananda (bliss) within! Serving the Denver Yoga community since 2000, Whole Yoga offers Shambhava Yoga and all the instructors are Shambhava-trained, not to mention friendly and resourceful! Denver yoga students love coming to Whole Yoga because it’s a welcoming studio environment. Students experience great yoga classes everyday at a great price. Check out the Shambhava Yoga Teacher Training schedule in Denver at Whole Yoga. Yoga for You is a Yoga and Meditation Center in Northeast Wichita, Kansas, which specializes in the therapeutic applications of Yoga, and offers small classes and personal attention in a serene and beautiful environment. We cultivate conscious awareness and openness to personal growth and transformation. Yoga for You offers classes, private lessons, Thai Yoga Therapy, Meditation Classes, and workshops. We offer Yoga Alliance approved Shambhava Yoga teacher training. Our training is conveniently scheduled for working people, and includes extensive personal attention and mentoring. Austin Big Heart Yoga is a community of yoga practitioners dedicated to helping each other understand and experience their true nature through the practices of yoga. Our tools include hatha yoga, meditation, chanting, spiritual discussions, service to others, and community. Our hatha yoga and meditation classes are reflective of the Shambhava yoga tradition.